Questions on how to live “A Life Unbound” have been pouring into the School of Womanly Arts, in anticipation of the upcoming World Wide Sister Goddess Reunion. And I couldn’t resist getting down and dirty with some of your burning Qs. Meet Debbie Rosas, Human Firework. She insists on standing for women to fall more in love with themselves, and their bodies, with every step, every breath, and every kick. She makes being a woman a huge celestial party. Debbie is my friend, my inspiration, my compatriot. And she's offering a special discount for Sister Goddesses on her next Nia White Belt Training. C'mon, were there ever two women as utterly committed to women having great orgasms as us? I’ve had the privilege of learning from a handful of incredible pioneers in the world of sensual research. And I want to share with you a few upcoming opportunities to take full advantage of their brilliance! 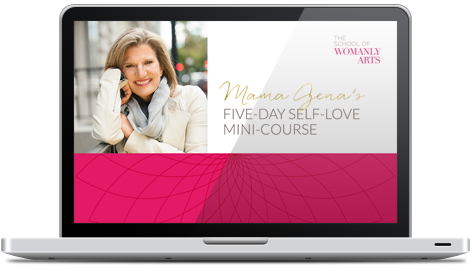 Mama’s Got Free HOT Business Training For You! Two of my favorite entrepreneurs, Marie Forleo and Laura Roeder, are sharing some incredible online training videos as part of their Rich Happy & Hot b-school launch - for free! It’s happening! Next month! On the East Coast! My Sacred Success™ Retreat. But it’s limited to only 25 women. And space will go fast!